I love the Chocolate Peanut Butter flavor! I am addicted! I make it with water and add a teaspoon of real peanut butter. I have it for breakfast and it keeps me full until lunch. Please and get the tubs back in stock soon, they are a little more economical! 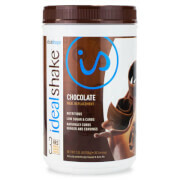 I love all the products that I have tried, but I must say that the peanut butter chocolate shake is my favorite. The only thing that I’m disappointed with is the fact that I am still waiting on my shaker cup. I was a little disappointed when I received this and I saw it was made with powdered peanut butter (PB Fit). My fault for not paying attention. Powdered peanut butter has a very distinct flavor, and it is awful! The chocolate is good and the overall product is good, but about halfway through the shake the PB became very noticeable. Its tolerable, but I probably won't be getting this again. 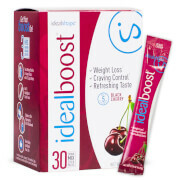 This is the best flavor i have tried! These on the go packs are great when I'm running behind. I just grab one and go. Overall the Chocolate Peanut Butter has a nice flavor. But I seem to always get a salty aftertaste on my lips after this shake. I may order this flavor again, but it isn't one of my top favorites.